Kinsley Utilities is the leader in underground infrastructure replacement and new pipeline installation, providing clean natural gas and water supply in a safe and efficient matter. Our team excels in the York, Hanover, Gettysburg, Harrisburg, Chambersburg and Hagerstown, MD markets in a booming industry. 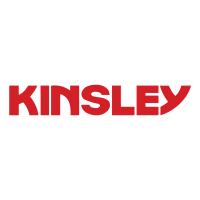 Kinsley Utilities obtains several long-term contracts providing year-round, steady employment from numerous local distribution facility owners in addition to private companies desiring upgrades and/or new underground construction needs. Our focus is exceeding our customers and the surrounding communities' expectations. We provide paid classroom and on-the-job training, quality equipment and cutting-edge tooling required for the industry. If you are interested in joining a team oriented group and are motivated, hard working, reliable and willing to learn, we want to talk to you. We are seeking experienced Equipment Operators for our growing team. Applicants should possess general knowledge of underground utility installation, trenching and excavation regulations and pipeline safety. This positions requires the ability to safely and efficiently excavate around underground utilities using rubber tire backhoes, mini excavators and skid steer type equipment. Our team offers year-round employment with advancement opportunities.